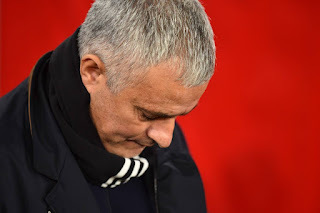 It was yet another disappointing result for Manchester United in the Premier League this season as they drop even more points and drift further and further away from the top 4. The game finished 2-2 but it was lucky to even finish as a draw for United as within the first 15 minutes of the game they were 2-0 down and looked down and out. However, United actually showed a bit of spirit for once and manged to fight back to make the score 2-2. Sadly, that is where the positives of the game end as United were once again to lethargic and dull and failed to even put up a real challenge for Southampton second half. Many could have predicted this sort of result before the game had even begun when they looked at the team sheet. Mourinho had chosen to play a defensive 5-3-2 formation where we only had two recognised defenders on the pitch, one of which was Phil Jones. Joining him to complete the back line was Matic and McTominay, which has to be one of the most questionable team selections Jose Mourinho has ever made. With this sort of selection, it really is no shock that this happened. We all know that our defence isn’t good enough but having two midfielders playing centre back doesn’t make it any better. In better news even though we conceded two we actually managed to put the ball into the Southampton net twice which is an improvement on our recent goalscoring form. And the fact that this is a positive for this game really shows how bad we have been so far this season and how disappointing it is to be a United fan at the moment. This game once again extends the gap between us and the top four making it even more unlikely that we will manage to finish in a Champions League place at the end of the season. This means that any hope of qualifying for it next season will come from the competition itself, which is never the position a club like Manchester United wants to find themselves in. The defence really needs to be improved in January, we can’t expect to be challenging for titles or even competing for top 4 when we have a defence that is so inconsistent and lacking in quality. If we are really serious about making anything of this season, we need to make at least two signings to improve our teams defence. There is no quick fixes but if we can bring in a leader then he might be able to at least raise the performances of some of the other United defenders. The one positive from this game in terms of player performances was Marcus Rashford. He was the only player which a spark of creativity and though not everything he did came off, the two assists he got shows that he has the quality and just needs a manager who will be patient with him.